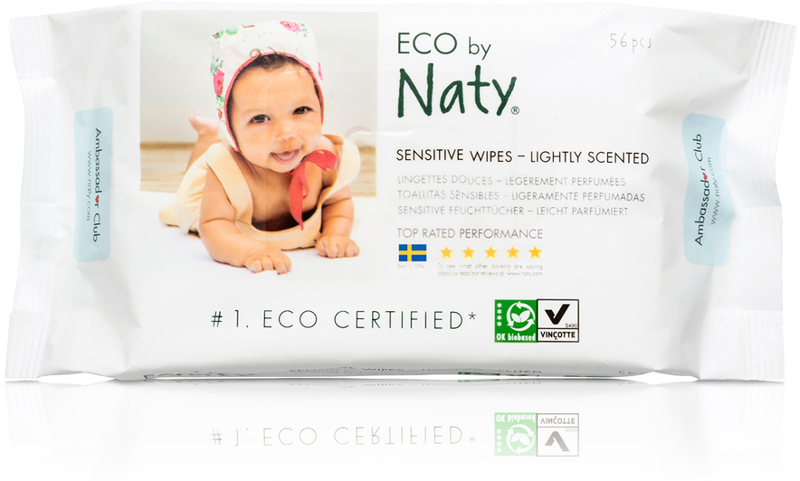 These sensitive, lightly scented eco-friendly baby wipes are made in the UK with natural ingredients and sustainable materials. 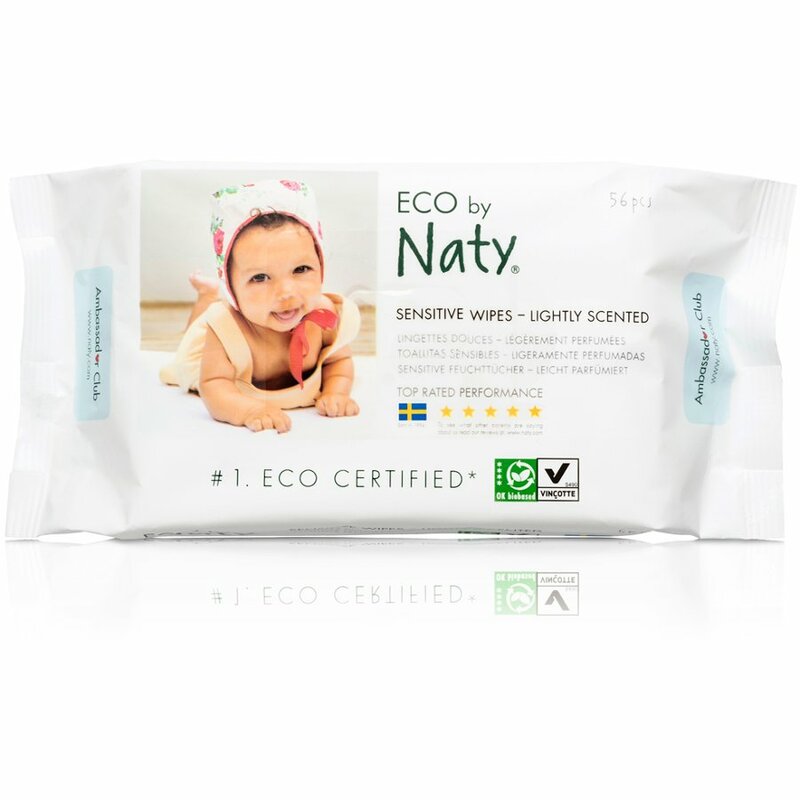 Chlorine, alcohol an paraben free, the extra thick and extra soft dermatologically tested wipes are kind to your baby’s skin, reducing irritation. 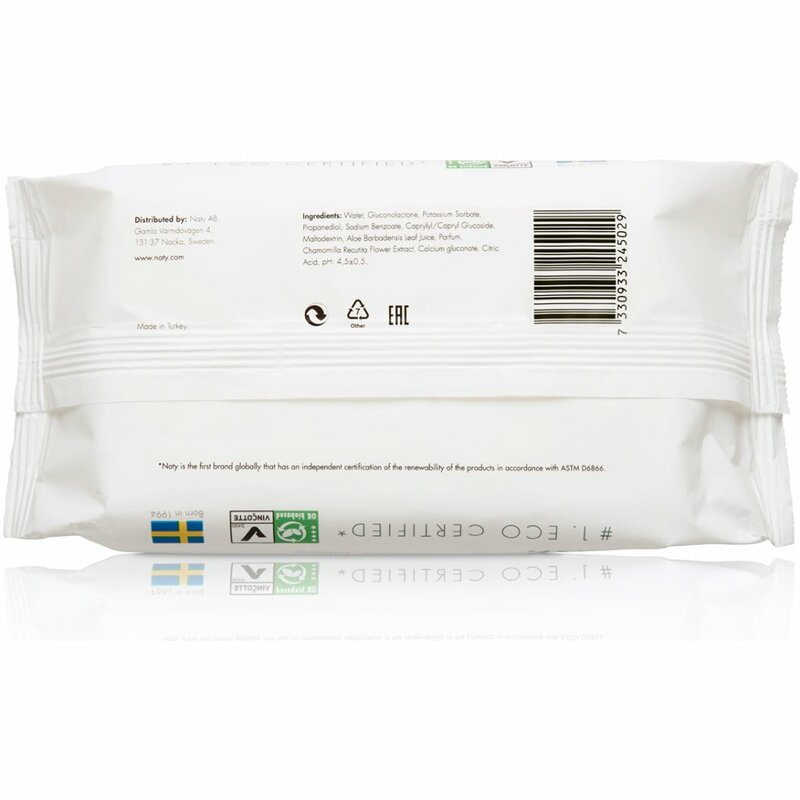 The wipes are biodegradable, compostable, free from animal testing and suitable for vegans. 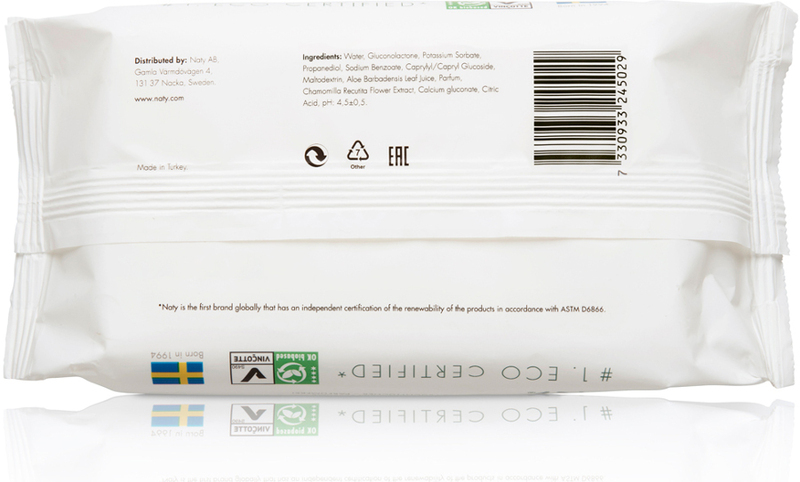 Also free from artificial colours and phthalates. Warning: For external use only. Keep out of reach of children. Avoid contact with eyes. Should this occur rinse immediately with clean, warm water. Do not flush. Dispose of with normal household waste. Water, Gluconolactone, Potassium Sorbate, Propandial, Sodium Benzoate, Caprylyl/Capryl Glucoside, Maltodextrin, Aloe Barbadenis Leaf Extract, Parfum, Chamomilla Recutita Flower Extract, Calcium Gluconate, Citric Acid. 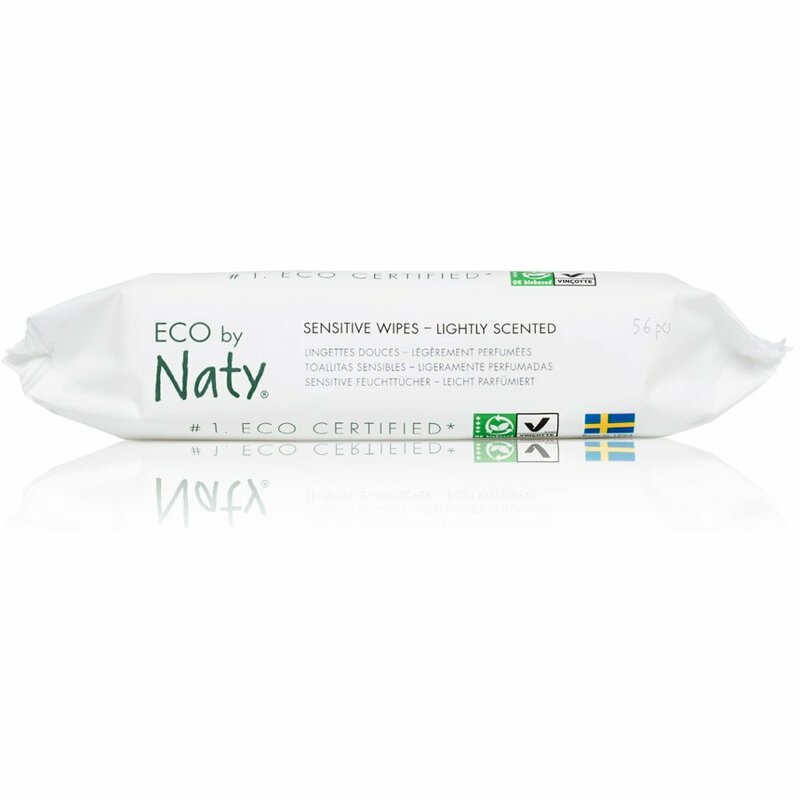 There are currently no questions to display about Eco by Naty Lightly Scented Sensitive Wipes - Pack Of 56.